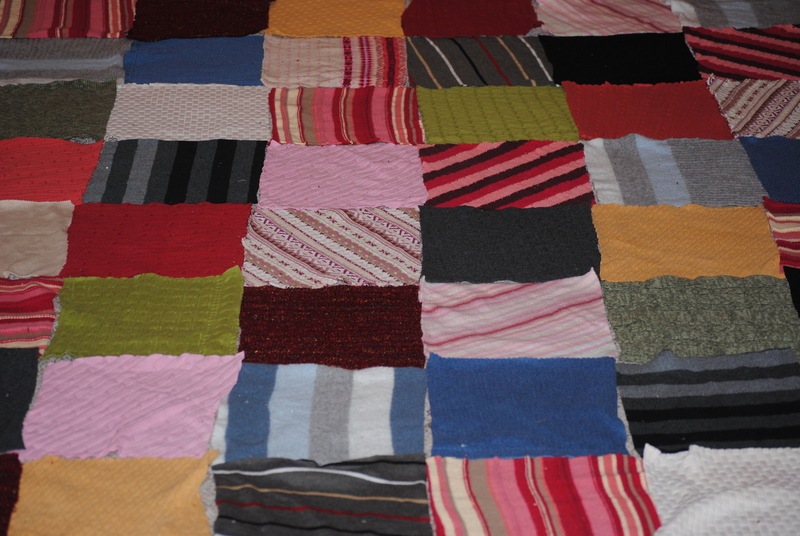 Since I had quite a plethera of sweaters laying around, I made a sweater quilt. This is the most cozy thing I have ever made and I loooove how it feels when I am sitting underneath my huge Christmas tree with my it on my lap. I used my serger to put all the pieces together. I was thinking that I would put a back on it but changed my mind after realizing how nice all the sweaters felt. I didn’t want to cover up all of those pretty sweaters or their nice feel. p.s. my computer has too many photos on it and is very angry at me. I need to deal with this before I add any more pictures, arg. 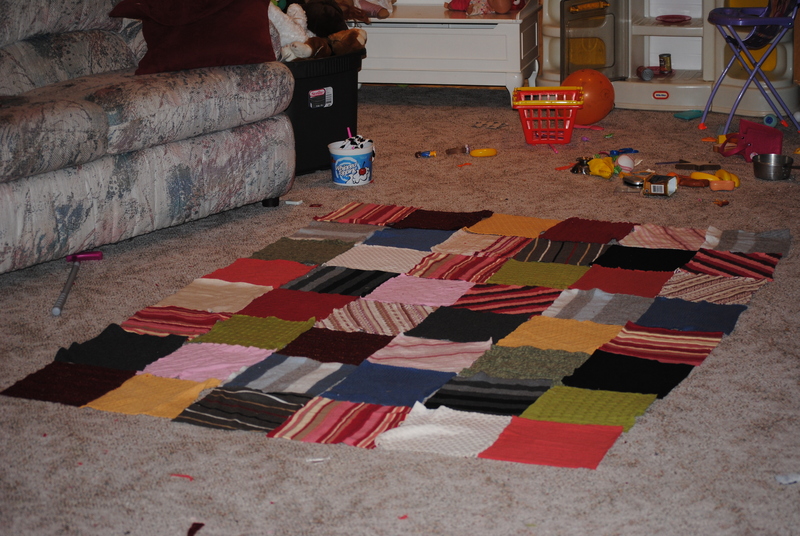 These are the only pictures I have of my sweater quilt at the moment, but I promise to have a tutorial and some better pictures up when I get my data overload under control. Oops.